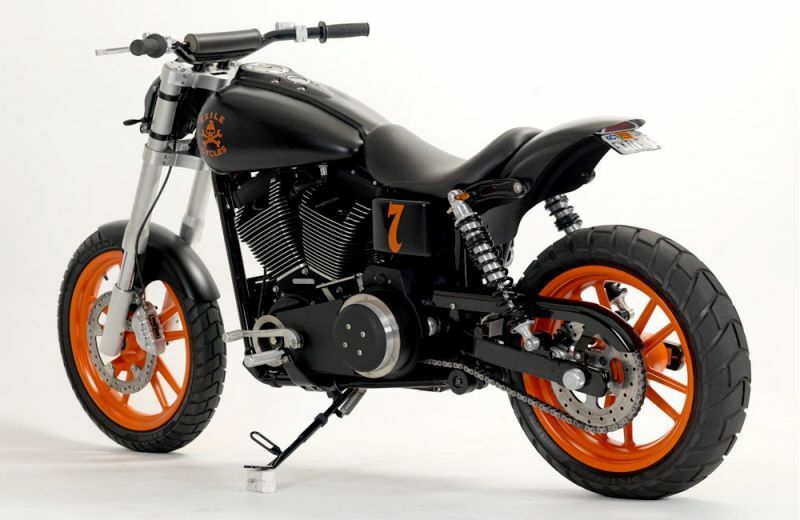 This 2006 Harley StreetBob has been extensively reworked to give it the 'ready-for-anything' SuperMoto flavor. 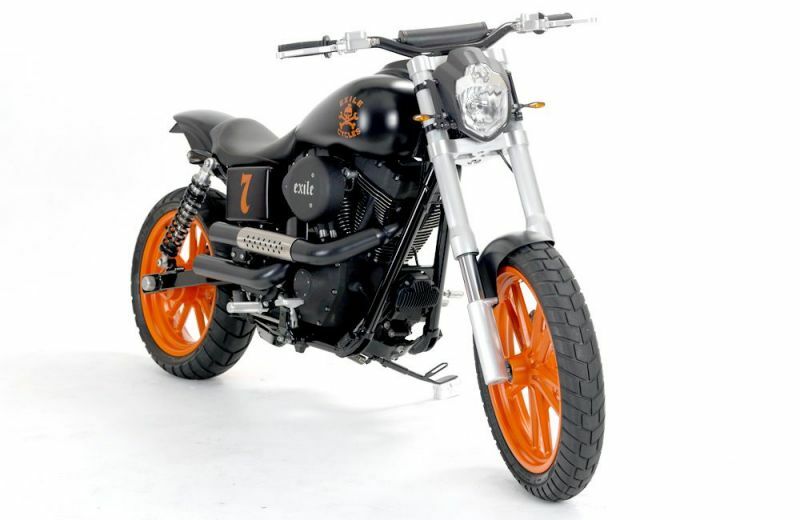 Over-length suspension, handlebar pad, urban assault headlamp, dual-sport tires and black/orange paint scheme all help to achieve the desired effect. 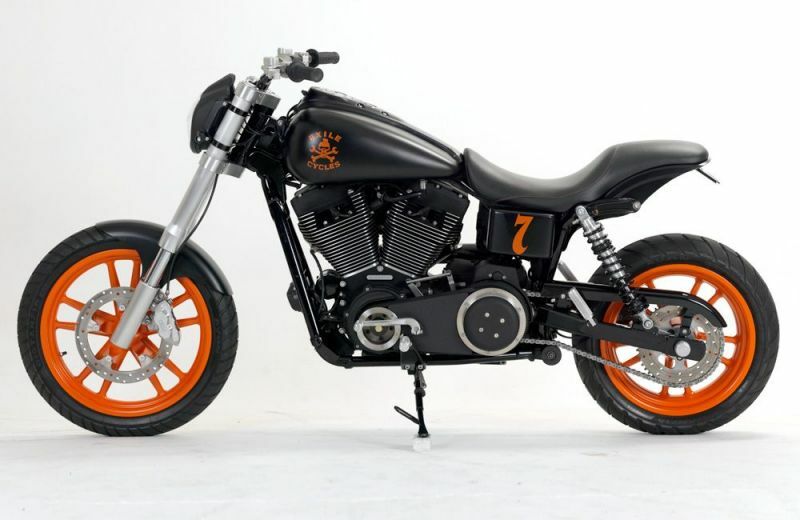 This bike only features around $8,000 of parts from our catalog, plus a variety of other interesting components, special fabrication, paint, powder-coat, etc.